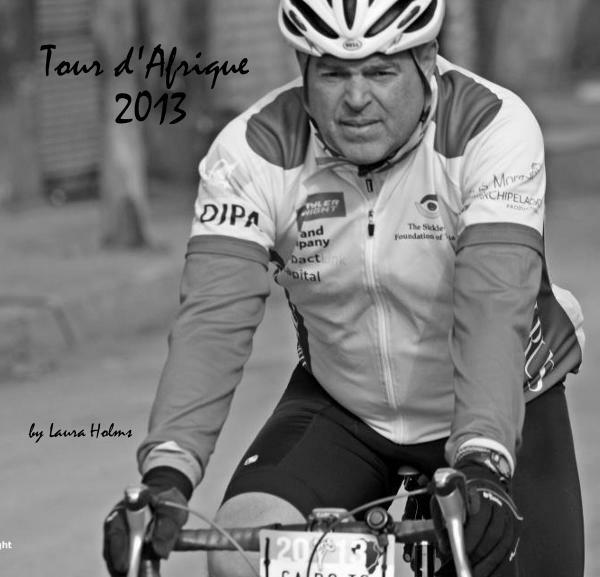 Tour d’Afrique 2013 – Leaving from Giza – YouTube. The bike: I am very pleased with the bike. When I arrived the front derailleur was seized. I replaced it with my spare and put a new chain on. I took the seized derailleur to the TdA mechanics and asked if they could bring it back to life. Thanks to a little WD40 and some elbow grease, they did. So I now have a spare again. I hit a big pothole on day one. It knocked my front wheel a little out of true. Once again the mechanics were great. They trued it that evening and I haven’t had a problem since. On day four I stopped using my front disk brake because I thought it felt a bit odd. Back to the mechanics. They adjusted it, tested it and told me I was crazy. No problem now. After we finished stage 8 I took my bike to the mechanics again. Nothing was really wrong; I just wanted a once over to make sure all was o.k. They cleaned some gunk out of the derailleur cables; there is a lot of sand and dust here. They trued the back wheel, which was just a touch out – there seems to be a speed bump every 2 km and we have ridden some rough roads. And they fine-tuned the gears. Every day I have cleaned the drive train and checked the bike over. There is a long way to go and moving parts can wear quickly. Perhaps the greatest surprise is that I have had no flats. I had so many flats in the last couple of months in Dar that I became paranoid and brought about 20 spare tubes. Fingers crossed. So far so good. Now ready for the Sudan. Health: I have felt really good. No health problems. I have hydrated fairly well. I have eaten fairly well – although, as always, I am not hugely hungry after a lot of exercise. But I am trying to eat more. I think I have lost a little weight but not a lot. I was fairly fleshy at the start, having had an enjoyable and well-fed Christmas holiday. I am trimming down a bit. I have had the odd beer – perhaps one a day. My legs are getting into shape and felt really good until stage 8. Perhaps I pushed it a bit hard on stage 7. The bum is o.k. so far but starting to feel a bit tender. I haven’t used any creams yet. I think I will start now that the weather is getting warmer and we are likely to sweat more. Egypt: The landscape has been spectacular. I especially enjoyed the ride down to the Red Sea and then back to the Nile at Qena. Traveling along the Nile-side canal from Qena to Aswan was much busier and the landscape different. We passed through many towns and the roads were rougher. So were the kids. I had rocks and a handful of sand thrown at me. I had a guy sitting high on top of a truckload of sugar cane spit on me. I had kids standing across the middle of the road daring me to ride through them. I had a three-wheeled motorcycle cross into my lane from the oncoming lane at speed and head straight for me. I had a kid on bike wait for me on the road and not let me pass as he nudged me into oncoming traffic. In each case I found that the best response was simply to stare into their eyes as directly as possible and not flinch. I kept my line as best I could and they always backed off. I am not sure if they are just playing games or if there is some deeper animosity – the need to challenge what is different. I never really felt threatened but I did feel harassed. The group and the race: The group is really good. The riders are travelers, cyclists, interesting and interested people. There are some fantastic stories behind their participation in this tour. By now the race dynamic has established itself. There are a half dozen men and a half dozen women who are clearly superior. There is then a good-sized group that is not too far behind, any member of which might possibly challenge on a given day. I was not going to race but have found it hard not to challenge myself a little. So I got my race button and time in and out every day. I have had a fifth and a tenth. But generally I seem to place in the top 20 – with a couple of crap days thrown in. I know I will get fitter as I ride but so will everybody else. My original plan was to take it easy to build up fitness and ensure good recovery time. This is still a good plan and as the terrain gets tougher I think I will have to stick to it. I felt fine when I woke up and left in a group of about half a dozen riders. But I soon realized that there was no zip in my legs today. In fact, they felt like lead. I rode with the group for about 25km and then dropped off. I just couldn’t keep a pace that the day before was no problem. So I struggled and rode by myself for most of the day – no problem with health or stamina, just no power. At about 92 km I spotted a coke fridge at a gas station and pulled in, hoping for a bit of a sugar lift. I don’t think the gas station was operating. It’s likely they had no petrol. There were no cars. And whenever we passed a station that had petrol there was a long line of cars and trucks. I poked my head into the building and saw a kid of about fifteen sleeping on a bench at the back. He roused himself and came out. Another younger kid then appeared from around the side of the building. The coke fridge had a big lock on it. After a humorous exchange of single words and mime we all agreed that I was not going to get a coke because the man with the key to the fridge was asleep and they were definitely not going to wake him up. So it was back on the bike and back on the road. No coke. No sugar hit. Just about this time Alex, a 65 year old Canadian, was passing, so I linked up with him for the final 20km into Aswan, with only one glitch. We each have a little magnetic button that we use to clock in and out each day. We touch the button to a little black box when we leave and then again when we finish. Unfortunately, today I rode right past the little black box. About a kilometer past the box I looked back and couldn’t see Alex so I slowed and waited for him. He told me what I had missed. So back I went. My legs thanked my eyes for being so observant. In Aswan I went off with Vince again to look for a hotel – Sunday is a rest day. We found a nice place up on a hill overlooking the Nile. Once again the lack of tourists was very evident. The Hotel Sara must have two hundred rooms. It was all but empty. We checked in, paid our money and went to fetch our bags. I was really looking forward to a hot shower after a less then fun day. A minute and a half into a hot shower the water went off. As it turned out, a main that serves that part of Aswan had burst and there was no water in the whole area. Great. But the manager was on the case. He called the water utility and promised us water within half an hour. He was as good as his word. The delayed gratification only increased the pleasure. In the evening we walked into the centre of town and ended up in a restaurant on a barge on the Nile. The fresh squeezed orange juice was some of the best I have ever had. I drank four large glasses, ate one small mushroom pizza and felt good again. Today we basically followed the Nile-side canal south from Luxor to Idfu. I cycled with the fast girls. I guess that doesn’t sound quite right. I cycled with some of the women cyclists who are leading the race – Bridget, Nathalie and Tessa. We went quickly and changed the lead, or pace position, every two km. It worked very well. I can’t keep up with the men racers but if I work hard I can cycle with the women. They are all very strong and racing to win, so with 20km to go I told them to go for it and dropped off a bit. They came 1st, 2nd and 3rd on the day. After setting up my tent under some trees in one corner of the football stadium I wandered with half a dozen others into Idfu town. Except for along the Nile, where the cruise ships dock, this is not a tourist town, which is nice. After stopping at a bakery for some treats we wandered into the fruit and vegetable market. It had almost a medieval air about it, narrow streets, fresh produce in piles and sacks on either side, cloth suspended over the street about fifteen feet up to provide shade. But it wasn’t really medieval. Motorcycles, two and three wheeled, and cars and trucks of all sizes competed for the little space available. The average speed was far less than walking. The trucks would stop in the middle of the road for as long as they wanted when they had to pick something up or drop something off. We found a café in the middle of this street theatre and asked for some fresh orange juice. Cafes don’t really do juice but they said no problem. They went off and found a machine and oranges to make the juice with and set to work. About twenty minutes later we all had fantastic fresh juice. We made the mistake of not asking the price first so ended paying probably twice the going rate. But that’s ok. The street life was worth it. Just in front of our café a large truck was parked on the side of the road, leaving just enough room for another vehicle to pass by cutting into the space of the shop opposite. The truck was piled high with 100lb sacks of potatoes. Three wheeled farm vehicles backed up to it, one after another, and half a dozen or ten bags were offloaded from the big truck onto the smaller vehicle. Potatoes were falling out of every bag and littered the street, like ball bearings in a Charlie Chaplin film. A two-year old boy was picking up the loose potatoes and trying to throw them back up onto the big truck. Great joy when one finally made it. We all clapped. I had been to Luxor with Liz and the girls only two weeks before so, unlike many of the others on the tour, I did not spend the day seeing the sights. I shared a room with Vince at the hotel. We were both up early and wandered into town shortly after 6. The place was all but dead. Luxor is not a morning place. It only seems to come alive at night when it is cooler. But we did find a bakery, still baking from the night before. We bought some warm croissants and other pastries and some bread rolls for lunch. On days off TdA does not feed us. We wandered into the market area and eventually found a café that was just opening. We had some fresh squeezed orange juice. It took a while though because the café owner had to go out and buy some oranges first. Lazy morning. Got the laundry done. Gave the bike a good clean and once over. Later we went to a shop and bought some tuna and cheese and had a picnic lunch on the balcony. The Camp and Hotel owners were very keen to sell us stuff. I think we were the first group that had stayed at the hotel all season. Business is really off. They had put on a dinner the night before. But it was kind of expensive so I went into town with John, another Kiwi, and had a pizza. The evening of the rest day the hotel owners put on a dinner and a show with belly dancers and snake charmers. It was also a bit pricey so I went into town with about a dozen people. We ended up in an open-air restaurant on the top of a five-story building overlooking the Temple of Luxor. The temple was lit up, the Nile just visible beyond it. It was a magical view. When we got back to the hotel the belly dancing and snake charming were in full swing. The slightly chubby belly dancer looked very bored. The hotels owners were working hard to make it interactive by getting tour members to get up and dance, just my kind of thing. I went to bed, but perhaps too early. Apparently one of the riders was convinced to get up on stage during the snake-charming act. The snake was fed up one of his pant legs, slithered across the front and down and out the other. Better him than me. Today was a non-race day so everybody travelled in very chatty groups. The course was relatively flat. There was some wind but it wasn’t too strong. We rode towards the Nile at Qena and then headed south to Luxor. We had been warned to watch out for small kids swinging big sticks and throwing rocks as we road down the Nile. In years past there had been problems. We were the second group – the first was the serious racers. In our group of eight only one person had anything thrown at them – a small stone that barely reached. In the slower groups however, a few people were slapped and things were thrown. In years past the kids had lined up with stalks of sugar cane to take swings. None of that this year. It was more high-fives that turned into slaps. The ride before lunch was fairly casual – a nice ride into Qena and then a short 20 km ride along the Nile-side canal to lunch at 62km. I did not make the same mistake today that I made yesterday. Even though it was still early and I wasn’t too hungry, I made myself eat. I am glad I did. We picked up the pace for the last 45km into Luxor – horses to oats. We all knew that a rest day – and another hotel room – awaited. After a warm shower we headed into town for a second lunch. This time at the right time. In the evening Luxor really comes alive with gaudy carnival-type lights and colorful market stalls selling everything under the sun. We wandered through the souk. Most of the traders seemed too demoralized to even hassle us. A few did in a half-hearted way. Or perhaps it was pretty clear to them that we were not the money-spending type. They are pretty shrewd judges of character. A beer back at the hotel and bed by 8:30.